99th percentile test take with education degree from Belmont University. Professional musician pursuing master’s degree in music performance. 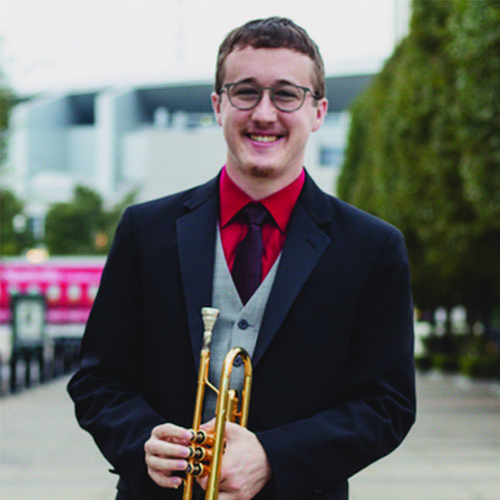 An avid musician, Austin Hood moved to Denver to pursue his MM in Trumpet Performance from the University of Denver. He is a graduate teaching assistant in the Lamont School of Music as well as a private music teacher in the Denver area. In the summer, Austin works with professional marching groups through DCI (Drum Corps International) on their summer tours. Austin lives by the principle that music performance and education is a crucial and effective means of developing a society that will move forward into an uncertain age with the principles of success that have guided previous generations. He is eager to enable students to achieve their academic goals on the SAT and ACT in order to make a college education more accessible and affordable.